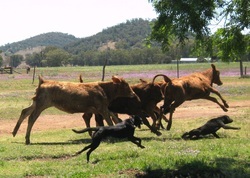 Mayo Livestock produces quality Red Angus & Red Brangus Cattle, Saanen Milking & Meat Goats, Stockhorses and Working Dogs in the most South-Eastern region of Queensland, Australia. 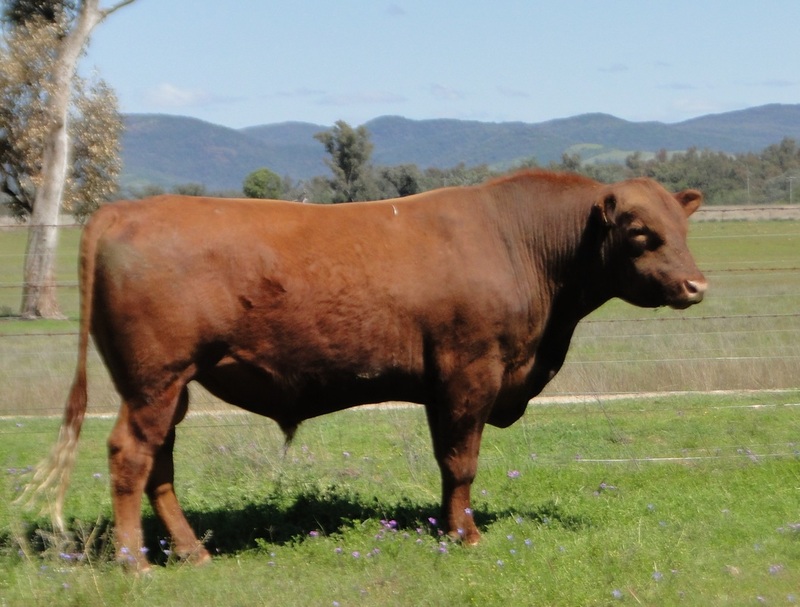 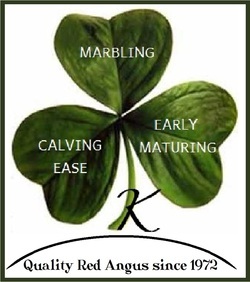 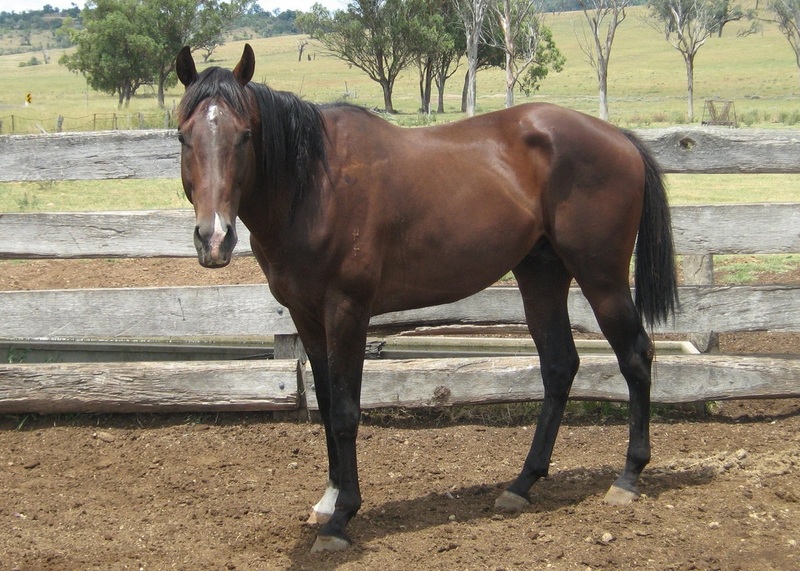 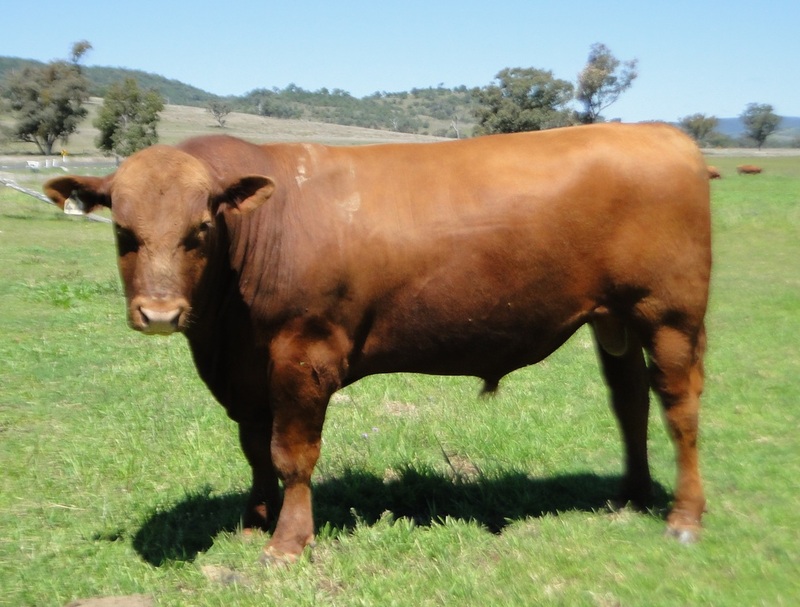 We are committed to breeding quality attributes into our stock, whether that be calving ease, early maturity and marbling in our Stud Red Angus Cattle or a natural ability to watch and work stock in our horses and dogs. This website offers you the opportunity to explore Mayo Livestock, however for further information, please use the Contact Us page for any enquiries. 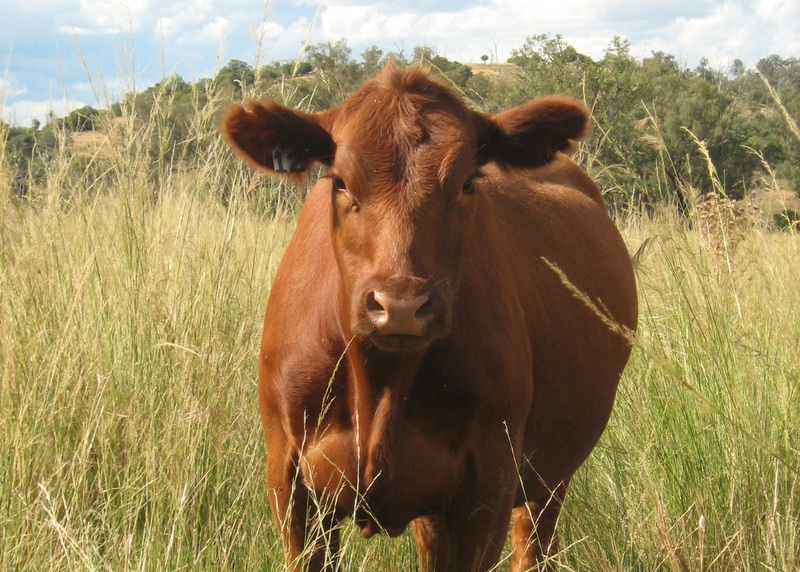 Alternatively, we would be happy to field any queries by phone. 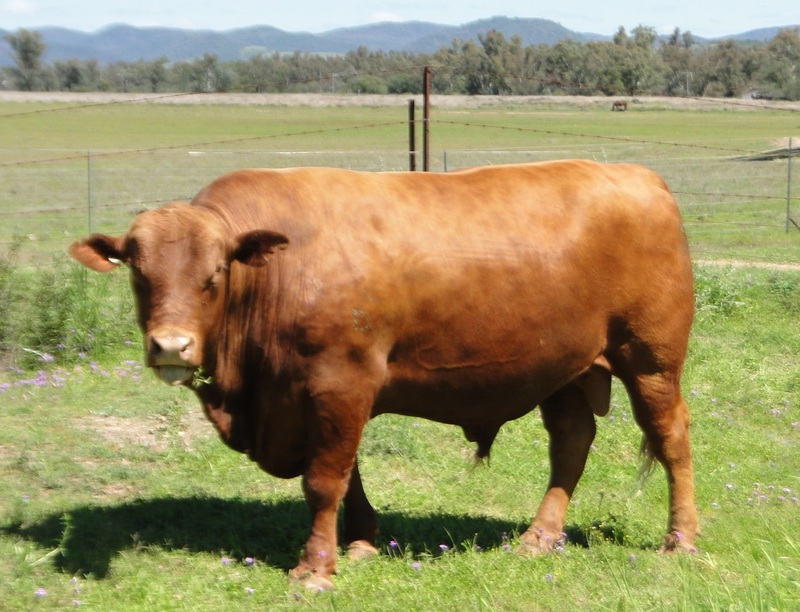 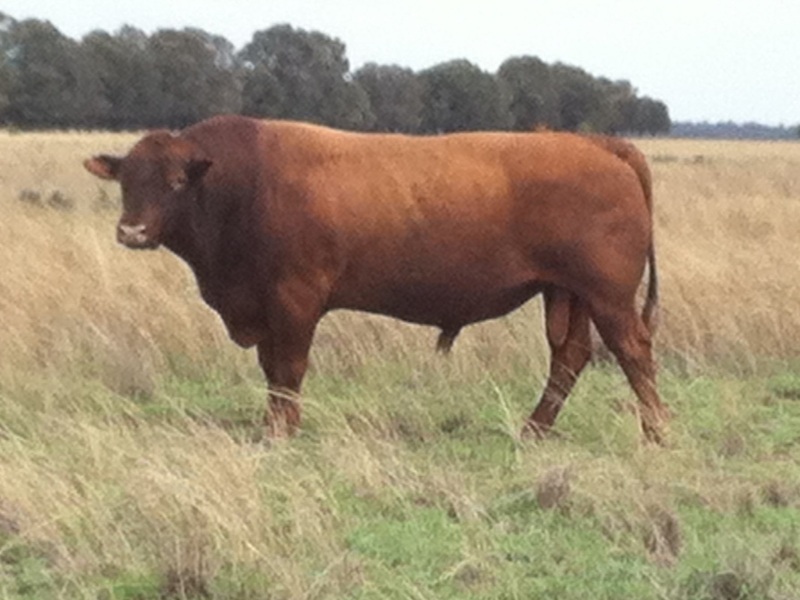 A Red SSS High Mark 272D son with Forres Doris U31 in his maternal line, Mayo High Time J231 has a great temperament and produces well structured, growthy progeny. 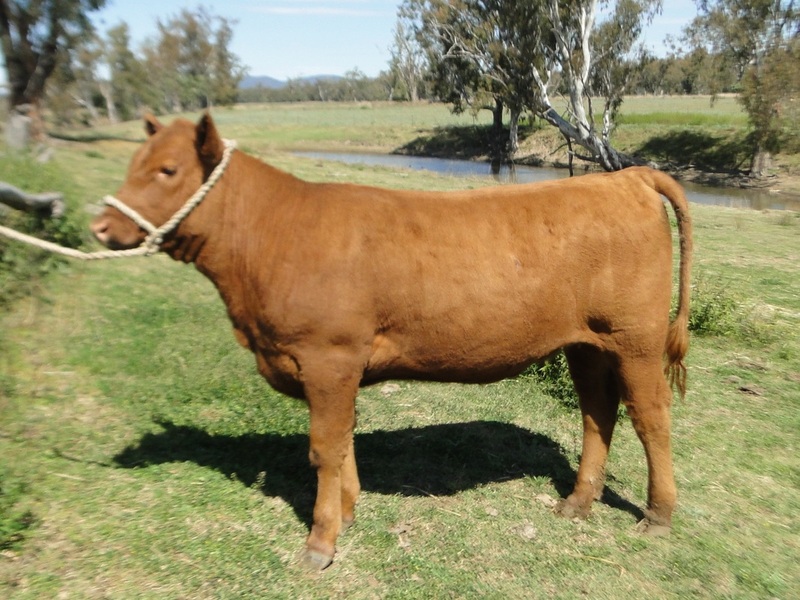 Below is an 8 month old heifer calf by High Time.